I HAVE A COLORADO REAL ESTATE LICENSE, WILL PARK AND REFER WORK FOR ME? Yes. Park and Refer Inc. is a fully licensed real estate broker with DORA, license #EC100031615. Whether you’ve had your license for 40 years, or brand new to real estate, becoming a Referral Agent is the perfect inexpensive solution to keeping your valuable license active. ARE THERE ANY TYPICAL REALTOR FEES ASSOCIATED WITH JOINING? NO! You’ll easily save thousands per year on these fees. You won’t be a member of any board of realtors, MLS service, or have to pay monthly office fees or E&O Insurance. And since we’re a virtual office, there are no meetings, sales quotas, or obligations. Our low membership fee is only $75 for 6 months, $125 for 1 year, or $195 for 2 years, and as an incentive, you’ll receive a FREE 1 year membership renewal with just 1 successful paid referral. Yes I know, Parking your license is sounding pretty good! The sky is the limit and you’re in control of your income stream. A 25% referral of a $300k purchase or listing will put $1,925 in your pocket with almost NO EFFORT. You can even refer a client, or yourself to a new home builder and earn the 3% builder co-op, which on a $300,000 home is $9,000! Our average referral payout is $2,000, and our largest referral payout so far is $20,133.75! Think of all the potential leads with your family, friends, co-workers, past clients, neighbors, church, school, and trade organizations. Best of all you can refer yourself on your own transactions, money in the bank! Being a Referral Agent gives you the best part time job ever. Check out our Referral Strategies. Once Park and Refer receives the commission check from your referral closing, we’ll mail or wire your funds typically the same day. At year end you’ll receive a 1099 to report your earnings, no taxes will be deducted. HOW DO I PARK MY LICENSE WITH PARK AND REFER? Simply click the “Super Easy Sign-Up!” button and input your info, and then we’ll respond with an e-signable email containing all of the documents required to transfer your license to Park and Refer including: Independent contractor agreement, Office policy manual, and W-9. WHAT IF MY LICENSE IS INACTIVE OR EXPIRED? No problem depending on the length of time. 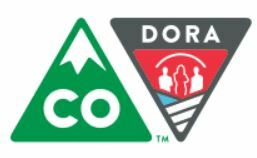 It’s easy to reinstate or renew with the DORA. Call us if you’re unsure and we can double check for you, 888-470-0641. CAN I ACT AS THE AGENT ON MY OWN PERSONAL REAL ESTATE TRANSACTION? No, but you may refer yourself and earn a commission. This is a huge benefit to keeping your valuable license active! In many cases, our agents have negotiated a 60% referral or more on their own purchase or sale. Of course the “FSBO” option is available to you as well if you are listing your home. CAN I LIST PROPERTIES OR REPRESENT BUYERS? Park and Refer is designed as an extremely low cost referral-based brokerage. Agents may only refer their leads and earn commission. Listing property or representation of buyers is not possible. DO I HAVE TO STAY ACTIVE WITH DORA AND COMPLETE CONTINUING ED REQUIREMENTS? Yes, you must keep your license in active status with DORA. For your convenience, we’ll send you renewal date reminders. According to DORA rules and regulations, you must complete continuing ed. over your 3 year license cycle. For a list of requirements and classes you can take, click our DORA CE HUB. This will save you a ton of time and money. Click on our current CE PROMO CODE for a great discount on your classes! CAN I CHOOSE THE AGENT THAT WORKS MY REFERRAL? Yes, Park and Refer is a completely independent brokerage. You may choose any licensed agent anywhere, local or out of state, to work your referral, you aren’t limited by geography. And don’t worry about your out of state leads if you don’t know any good agents, we have the resources and experience to help you find the perfect agent for your client’s needs. You can refer residential, commercial, new construction, and even land deals. HOW DO I PLACE A REFERRAL AND KEEP TRACK OF IT? To place a referral, simply fill out the Referral Form or call us, 888-470-0641. To keep track of your referral, we’ll email you a cool Referral Info link that will always have your updated referral status, which you can check as often as you’d like! WHAT IS THE PARK AND REFER COMMISSION SPLIT FROM MY PAID REFERRAL? Most referral agent brokers will charge you a flat 20%-40%, but our fee structure is designed so that an average referral falls in the 12% range, with larger referrals just 9%. And don’t forget you’ll earn a FREE 1 year renewal with just 1 paid referral! In this specific referral situation, you’ll refer any client or yourself to purchase a new build property whereby you’ll sign the “builder agent commission agreement”. Typically a builder offers a 3% commission on the sales price, minus upgrades. At closing you’ll earn 85% of the total commission paid by the builder. Example…$10,000 commission earned = $1,500 admin fee, and YOU’LL KEEP $8,500! Requirements for Colorado and the classes you need to stay active.